BERLIN, Oct. 9, 2014—INTERGEO 2014 in Berlin has clearly demonstrated that the industry really has secured its place in the digital, networked world. Geoinformation has evolved from a specialist niche and is becoming part of mainstream IT. The trade show focuses on products and applications in a digital world. The geoinformation industry is being, and will continue to be, shaped by applications that address important social issues. INTERGEO reflects these issues. “Our thanks go to Google, for all the attention that geo applications have gained since the launch of Google Earth.” This is how one INTERGEO exhibitor summed up the current market dynamic in the innovative geoinformation sector. Technology leads to applications and complex data streams yield crucial information – this puts the geoinformation industry at the heart of important social developments in a digital world. This trend is reflected at INTERGEO in increasing internationalisation and rising exhibitor and visitor numbers. A brief look at the figures shows an increase of around ten percent in overall visitor attendance (over 17,000 in 2014) and in the number of visitors from outside Germany (around 35 percent of the total). More than 45 percent of visitors said that they were responsible for or involved in decision-making processes. According to the results of the visitor survey that are now available, the most popular topic with visitors this year was GIS software, followed by surveying equipment and integrated surveying solutions. This year’s conference attracted some 1.400 delegates. Spearheaded by Germany’s Ministry of the Interior and Ministry of the Environment, the third national INSPIRE Conference was also a great success. Here, too, it was demonstrated that geoinformation is increasingly finding its way into areas of major social importance, including e-government, digital administration, security and disaster protection. In her keynote speech, German Federal Environment Minister Dr. Barbara Hendricks clearly expressed her support for open data. She said that the federal government had adopted a guiding principle of releasing publically obtained data into the value-added chain. “The public should not have to pay for the same thing twice,” Dr. Barbara Hendricks said. Attracting up-and-coming talent is still essential to keeping the market dynamic. In this respect, INTERGEO has clearly proved itself as an international careers forum. The international student meeting, JobSHAKER and targeted campaigns by associations and companies have taken effect. In the words of DVW President Thöne: “The number of students in Germany and Austria studying geodesy and geoinformation is rising significantly!” As the leading trade fair and conference for geodesy, geoinformation and land management, INTERGEO conveys the positive image of a high-tech industry, which is crucial when seeking to encourage the next generation into this future-oriented sector. 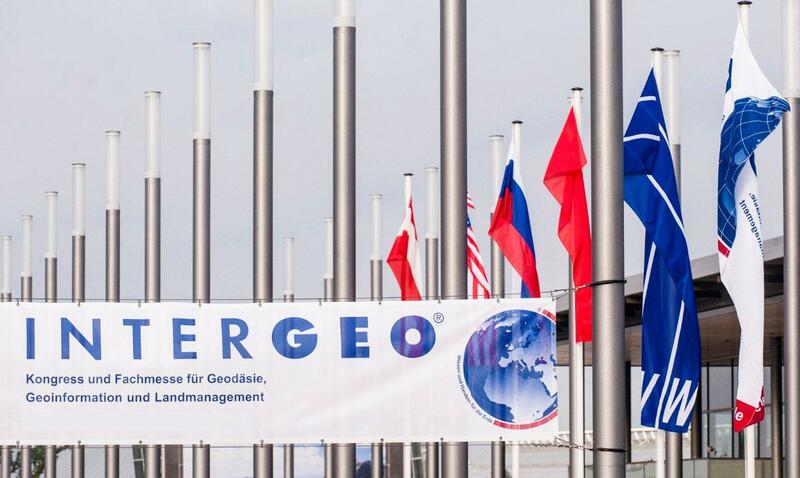 The 21st INTERGEO will be held in Stuttgart in 2015. From 15 to 17 September 2015, the focus of the conference will be on modernising infrastructure.